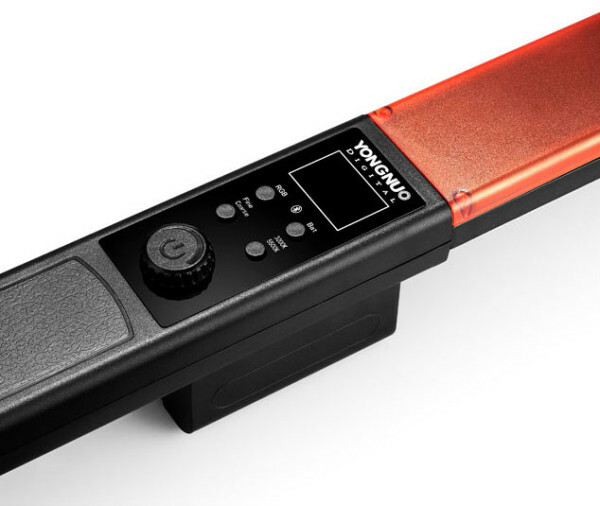 The Yongnuo YN360 is a colour-changing LED light sabre for photography and video lighting. YongNuo has announced the upcoming release of the YN360, an RGB LED light wand. At first glance this 39.5cm-long light stick looks less like a photography accessory and more like a prop that belongs on a Star Wars set. The new YN360 is meant to be an affordable alternative to similar products currently available on the market, such as the Westcott Ice Light. 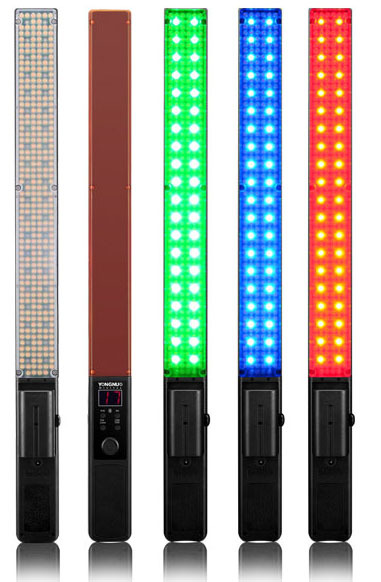 Compared to other LED panels the YN360 LED light wand has a few unique features. 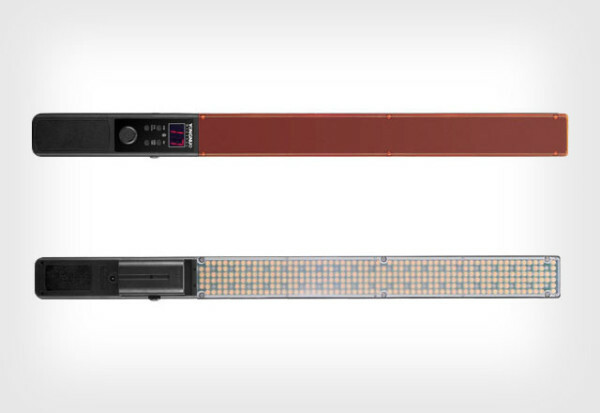 It combines 40 full-colour RGB lamps, 160 LEDs with a color temperature of 3200K, and 160 LEDs with a temp of 5500K. Either by using the buttons on the handle or with a smartphone app it is possible to change the colour and the intensity of the light. YongNuo claims that the CRI of the regular LEDs is 95 or higher, but overstating CRI numbers has been a common practice with Chinese LED manufacturers. We will have to see in practice how high the CRI of the YN360 actually will be. A Sony NP-F type battery is responsible of powering the LEDs that deliver a combined output of 19.2 watts, resulting in an illumination of 2560 lumens. Yongnuo recommends the Sony NL-F750 battery, which has enough power to power the light stand for two hours in 3200-5500K mode or 4 hours in RGB mode. Alternatively, one can also choose to power the stick with a 8V 5A adapter. The YongNuo should be available in March for around $62, which is substantially lower than many other alternatives on the market. What do you think? Will you be picking one up? At this price point it certainly seems like a tempting option for videographers and photographers on the go, even for light painting.